Chancellor Khosla met with the UC San Diego alumni chapter in New York on a recent trip to Manhattan. He shared the current developments reshaping the campus transformation with the 170 guests in attendance—the largest alumni event in New York, to date. 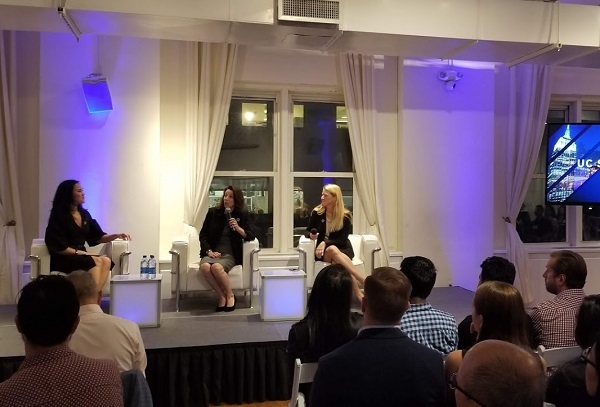 The program also featured a panel discussion entitled “The 22nd Century City.” The talk was moderated by UC San Diego’s Mirle Rabinowitz-Bussell and included Coleen Clementson ’88, and Midori Wong ’08. The panel discussed today’s urban planning studies, research, and real world projects, along with the expanding role of data science surrounding intellectual and social discovery. 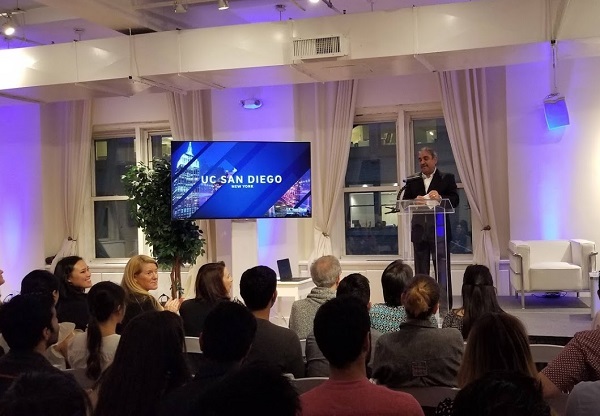 This event is part of the ongoing UC San Diego Alumni Association series the Chancellor hosts in various cities, both nationally and internationally. These events give UC San Diego alumni the opportunity to stay connected to our university and their peers. Chancellor Khosla thanked those in attendance for being active, involved members of our association.